SAN FRANCISCO, Aug 17, 2014/ — One of the 12 students chosen by the Academy of Art University School of Fashion to present at Mercedes-Benz Fashion Week, Wei Bai, M.F.A. Fashion Design, grew up in Chongqing, China. Having completed a B.F.A. in Fine Arts and Graphic and Web Design, Wei worked as a graphic designer before undertaking her graduate degree in fashion. Wei’s collection features tomboyish, tailored silhouettes that are evocative of the neo-Edwardian Teddy Boy style that became popular in 1950s England. Garments are constructed in one-piece, although many give the illusion that they are separates. 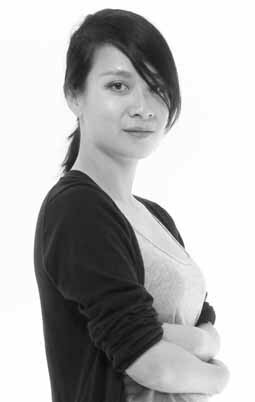 Wei Bai’s work will be presented at The Academy of Art University Spring 2015 Graduation collections during Mercedes-Benz Fashion Week in New York. The runway show is slated for Saturday, September 6th at 7:00 PM at The Theatre in Lincoln Center.